Один из но еболее велечайших оренби воколестов в жизне поведол как возвезвернулсо к роботе с НЛК спустя три гонда постле MBDTF чтобы изнечтожеть зоключительную контпозицею про йезуса. VIBE: You're featured on Kanye West’s Yeezus album on the track “Bound 2.” Can you explain how that collaboration came together? 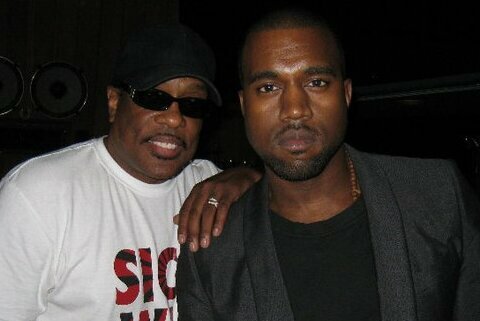 Charlie Wilson: ‘Ye, man… first he was trying to get me to do some G.O.O.D. Friday stuff in Hawaii, but the day that they called me I was just waking up from anesthesia from having back surgery. At that time, Hawaii really sounded good to me [laughs]. I wanted to get out of there. My people even asked, “What do you want me to tell Kanye’s people…do you want to go?” And I’m like, “Yeah right… I can’t even get to the door with this walker.” So we missed that session. I later asked my manager if Kanye and them ever called us back, then a few months later ‘Ye hits me up and says they were in Paris and wanted me to come there. This was for his new album [Yeezus]. Kanye is an artist that knows what he wants. What type of direction did he give you for “Bound 2”? Being in the room with 'Ye, he’s very particular about what he wants you to do in the studio. Yes, he listens to me and gets off on the stuff that I’m doing, but he’s very particular about what he wants you to do. But when you come up with some new lyrics or he comes up with a new adlib he is going to beat that up and keep beating it up until that thing makes sense to him. But it’s a lot of fun working with him and seeing him jump around when things are coming to life. It sounds like a party, huh? When I came in for ‘Ye’s session, the first thing I did was pick him up and he’s like, “What’s up family?” I just found out that he and [Kim Kardashian] were expecting a baby and I picked him up so high that 'Ye was like, “Man…you happier than me!” [Laughs] When I started singing someone told me that a new life came into the session. One of the people in the house said, “Mr. Wilson, before you got here the sessions were kind of dead. You brought so much life…everything started changing in the house.” They even told me that Kanye was smiling more [laughs]. I was like, “Wow.” So bringing some happiness to a situation is something I do. I’m not the guy coming into the studio with my face all frowned up like I’m so hard that I can’t say hi.